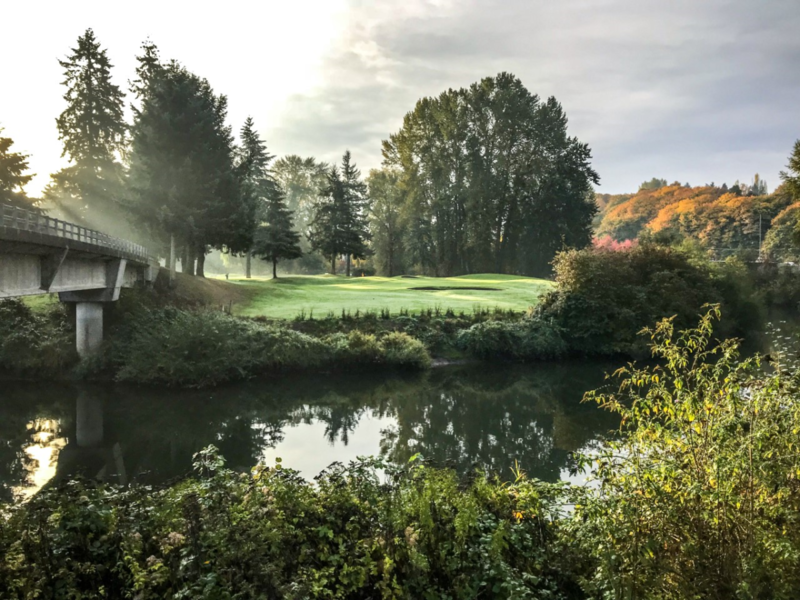 Foster Golf Links occupies a unique site adjacent to the meandering Duwamish River, which surrounds 65% of the course. The 18 hole golf course plays just less than 5,000 yards, with one par 5 for men, two for women, and five par 3’s, two of which cross the river. Foster is recognized as a rewarding and fun course that is easy to walk and a challenge to the average golfer. Many players fondly remember Foster as the course where they recorded their best tournament score.